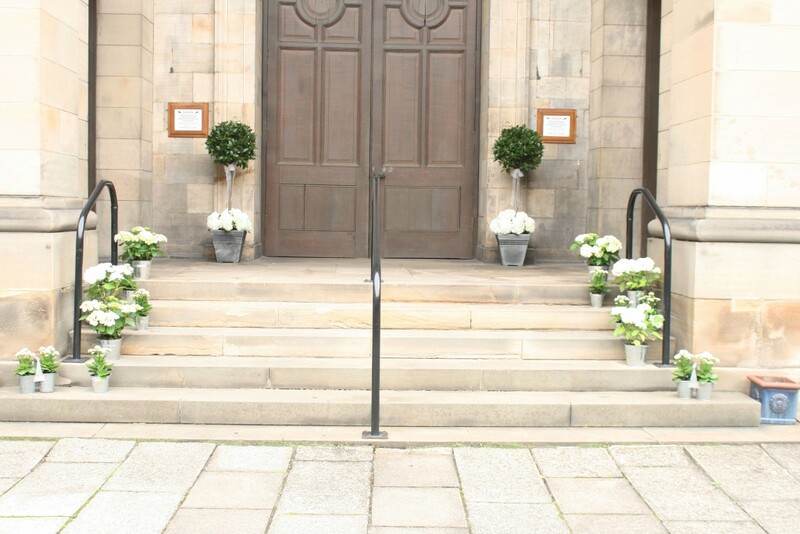 Caitriona and Fraser were married on October 9th 2015 at St Patrick’s Church, Cowgate, Edinburgh with their reception held at Eskmills in Musselburgh. 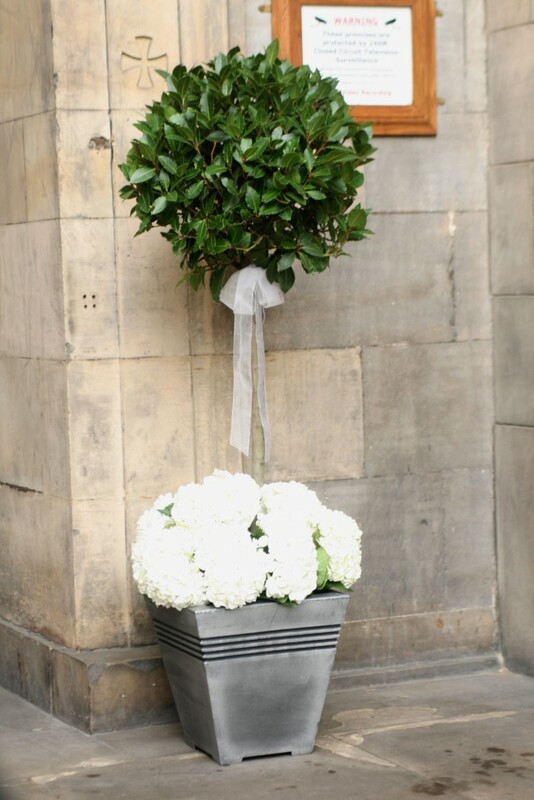 We created all white rose bouquet’s for Caitriona and her bridesmaids and classic white rose buttonholes for Fraser and the groomsmen. 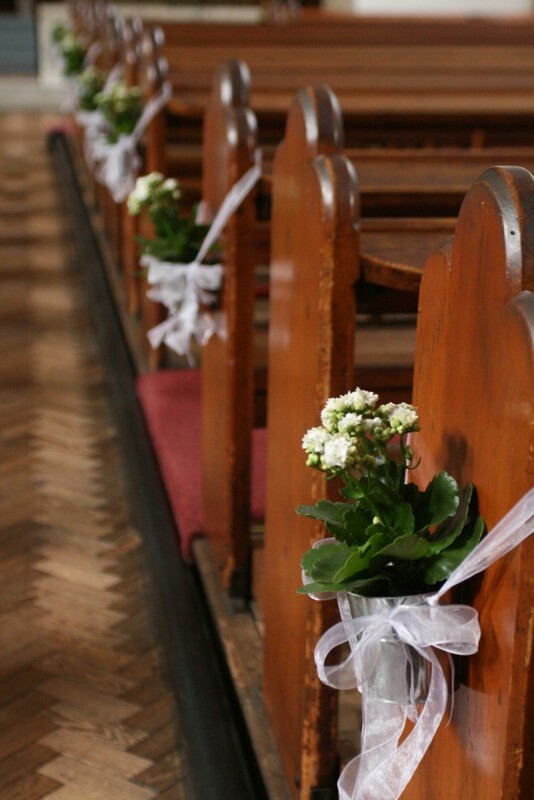 Caitriona wanted something a little different for her venue decoration and chose lots of lovely plants to decorate the church and reception venue. They were then given as gifts to the guests after the wedding. 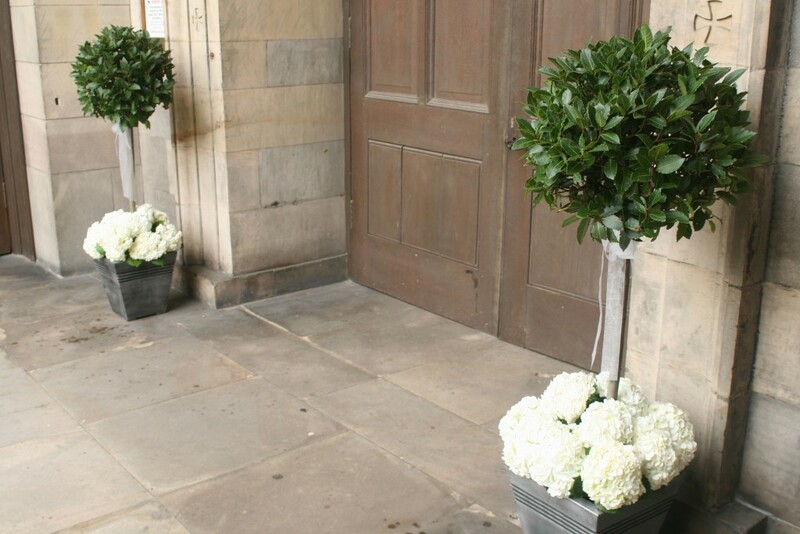 We provided large bay trees with fresh hydrangea bases along with silver/grey pots containing white hydrangea and kalanchoe plants which were positioned on the steps leading to the church. 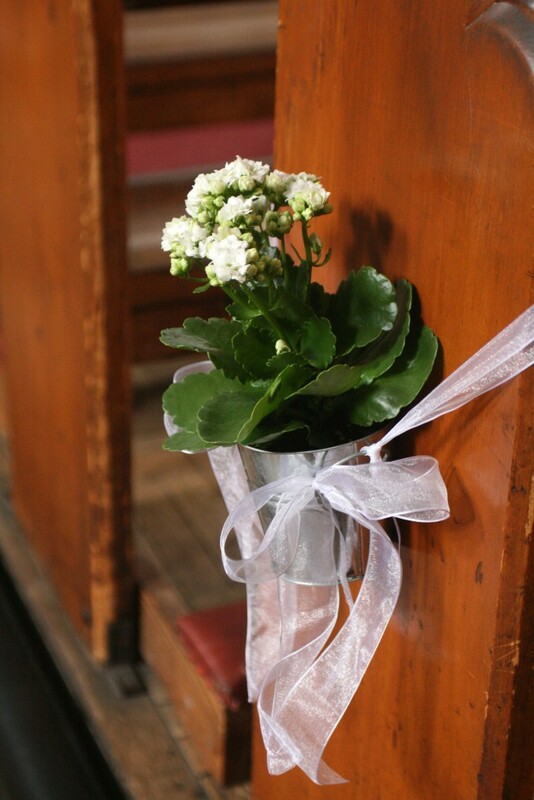 Silver pots of Kalanchoe plants lined the aisle and 3 x large potted hydrangea plants were placed at the front of the church. 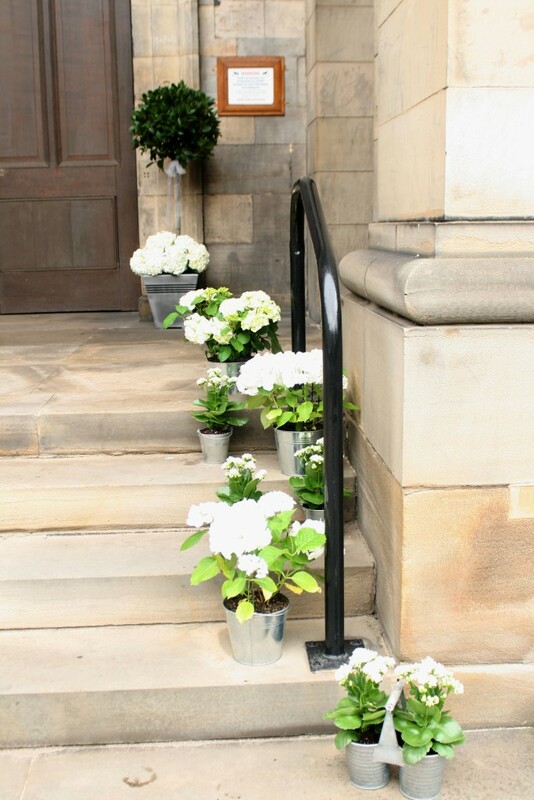 All plants were moved by us to Eskmills Venue in Musselburgh where they were displayed for the wedding reception. Congratulations Caitriona and Fraser. Best wishes to you both.